Do Templatic themes work with WordPress.com? Where do I get support for my theme? How do I install a Templatic theme? Do the themes work with WordPress Multi Site? Can I remove the Templatic credit from the footer? What are the server requirements to run Templatic themes? I have some pre-purchase questions…how can I reach you? What happens with my theme after the 1-year membership expires? What is the difference between the standard and developer license? What is a .PSD file? Do I really need it? What happens when I cancel my Club subscription? What is WooCommerce and how is it used in Templatic themes? What happens if the purchased theme does not work on my server? No, they do not. Themes available at templatic.com will only work with self-hosted WordPress available at wordpress.org. For WordPress installation instructions please click here. Our themes were created for development – this means that images, colors, fonts, layouts and anything else related to the design of the themes can be changed or modified. In addition, the copyright notice in the theme’s footer can be edited or removed. We realize that many of you are developers and will be using our themes for client work, although link-backs are appreciated. Installation instructions will always be provided inside the theme guide of the theme you purchased. All theme guides are available on the following page. Yes, they will. We update our themes regularly to make them compliant with the latest WordPress release. Do the themes work with WordPress Multi Site ? Of course. But we suggest you become an affiliate member and place your affiliate link there. 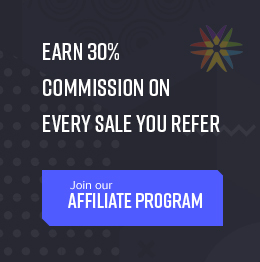 Every purchase referred by that link will earn you 30% commission. Note: Session and memcache are only required for our Directory themes & E-commerce Themes. We recommend hosting your website with Site5. The easiest way to get in touch with us is to just use the contact form. We use 2Checkout for credit card payments and PayPal (for those with a PayPal account). Login to member area and click on the Add/Renew Subscription tab. From there choose the theme you wish to purchase and complete checkout. You can also purchase the theme from the sites front-end. Open the sales page, click on the Buy Now button and login on the next screen. No. If you buy a individual theme then you will only be paying for it once. You will never be re-billed. Recurring billing only applies if you sign up to become a club member, which gives you access to all our themes. That said, optional renewal is available after your 1-year membership expires. The only two areas where these licenses differ are the included .PSD file and up to 5 domain usage. These two things are only available with the developer license. The actual theme is identical with both versions, you’re free to customize it however you want with both license versions. The PSD is a layered Photoshop file we use to actually design the theme. Once the design is done in Photoshop we start moving it to HTML & CSS. The file is very useful when making changes to the theme, specially significant design tweaks. If you plan on changing the looks of your theme this file will most likely come in handy. To learn more about the PSD file click here. The Club membership joining fee of $299 gives you unlimited access to download all of our themes and plugins (not including Directory premium add-ons) for one month. Then $19 per month to continue your Club subscription which entitles you to support and updates on the all themes you have downloaded. For the monthly subscription you get any new themes we release, any updates to all themes you have downloaded and plus of course you get access to support via the community forums and at HelpDesk. Yes, you can. The monthly subscription to the Club can be canceled at any time after your first month but you will no longer have access to theme downloads, updates or support. Once you cancel your subscription, there is a fee of $49 to rejoin and start downloading themes again. On cancellation of your monthly subscription, you can still enjoy using the themes you have downloaded for as long as you like. WooCommerce is a free e-commerce plugin available from the WordPress plugins directory. Certain Templatic themes provide full compatibility with WooCommerce and in turn allow you to setup an online store. Templatic e-commerce themes come with both WooCommerce compatibility and our own eComFramework. Owners of those themes can select which system to use. Support for the plugin will be provided in the context of the theme that is being used, i.e. actual plugins bugs should be reported to the plugin developer while theme-related issues should be reported inside our forums. What happens if the purchased theme does not work well on my server? In cases such as that (which are pretty rare) we will issue a refund for your purchase. We update the theme as soon as we find a bug or if we think that a new feature should be added. You can view the theme version from your member’s area.